Posted August 2, 2017 by admin & filed under City News. A local community group has won their court case against the state government. The Sirius building, Millers Point will now be heritage listed, after the former NSW Heritage Minister Mark Speakman failed to do so in 2014. Mr Speakman claimed listing the building would reduce its sale value by almost $70million. The state government had slated the building for private sale, which would almost certainly have fated it for demolition. The 1979 building is one of Australia’s most significant brutalist icons, and is considered a rare architectural masterpiece. Genevieve Murray of Future Methods Studio, an organization who collaborates with communities to design public spaces, said the building was important not just architecturally, but also culturally and politically. But she was skeptical about the government’s attention to such details. “Architectural style has absolutely nothing to do with the decisions being made. There is no value placed on preserving and respecting the fabric of our city from the greedy hands of property developers,” she said. Despite the heritage listing, the prized building will still be sold off. After being social housing for decades, the state government booted all but two tenants out three years ago, with plans to sell the building off privately still in place, which they allege is to “raise funds” for more social housing. Ms Murray said the plan was misguided and the wrong approach. “If they are crying poor then the property tax system should be reformed – property developers are making a fortune out of the sale of public land and the people are left with nothing. The Government cannot continue to sell off public assets to fund themselves. It’s blatant, short sighted policy designed to fit a political term and big business interest,” she said. Clare Lewis from the #WeLiveHere2017 campaign group, who have worked to defend local residents of various social housing buildings said: “I am delighted that the Sirius building will be saved, it is a wonderful example of Sydney Brutalism, and the Save Our Sirius campaign have worked so hard for this victory which resonates with so many of the battles being fought around Sydney. “However, this is a victory for architecture; I still have grave concerns for the future of social housing in inner city Sydney. 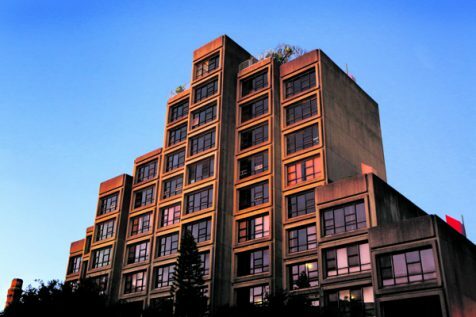 Sirius is symbolic of a more egalitarian era, but the Millers Point social housing community has been emptied of tenants, and will still be sold off for millions to the private market. We need significant investment in social and affordable housing. Cashing in on public assets does not create an equitable, diverse city,” she said. Pru Goward, the Minister for Social Housing did not respond to City Hub’s requests for comment.